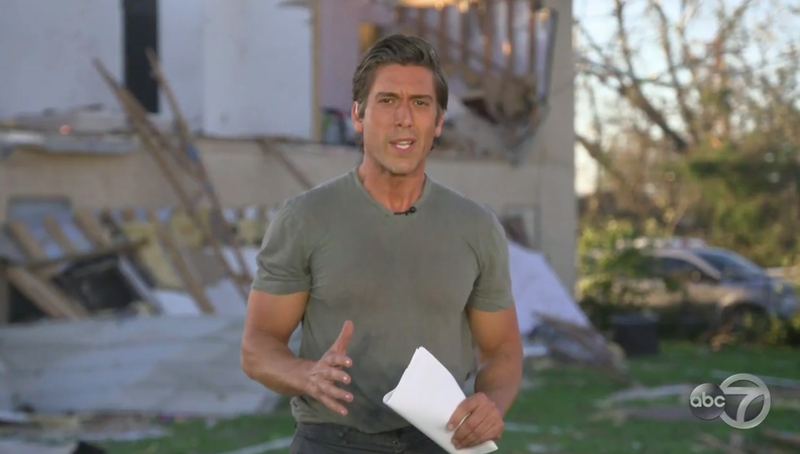 Both ABC and CBS kept their anchors in the path of destruction left behind by Hurricane Michael, while NBC, which was stuck with the storm hitting in the middle of its much-hyped “Across America” tour, moved on to a more tranquil setting Thursday, Oct. 11, 2018. 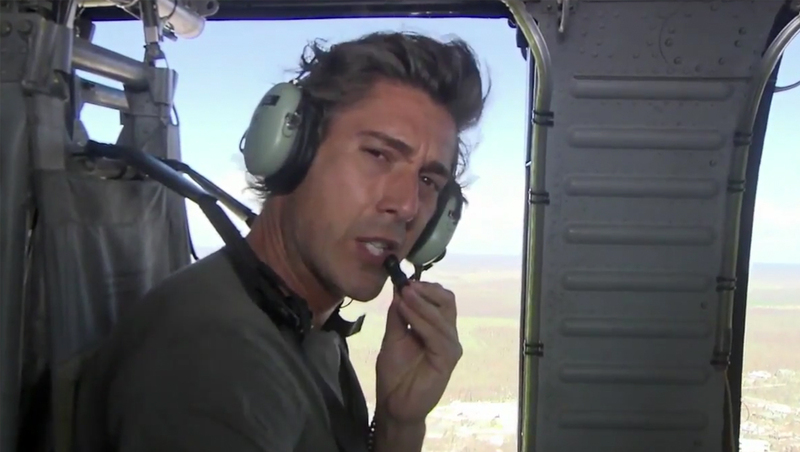 ‘ABC World News Tonight‘ anchor David Muir anchored from front of a damaged building and vehicle, while also taking a helicopter ride over the destruction. 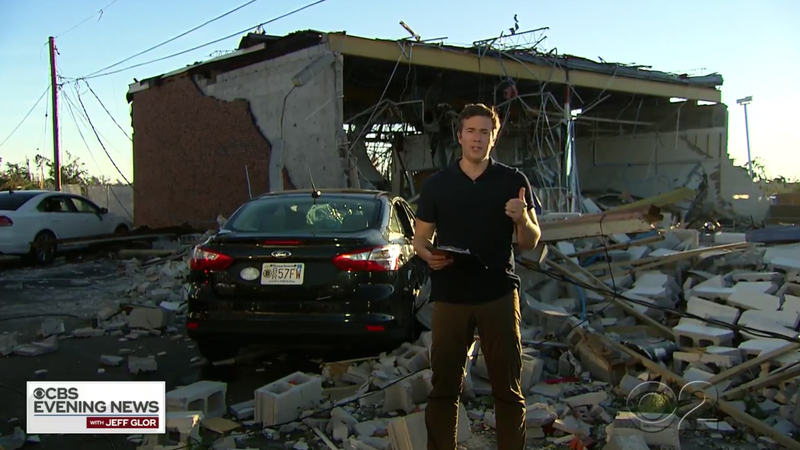 ‘CBS Evening News‘ anchor Jeff Glor originated his broadcast from in front of the shell of a destroyed building standing next to a single car. Both newscasts, as well as “NBC Nightly News,” which still lead with Hurricane Michael’s aftermath despite originating from Kansas City, Missouri, relied heavily on contributed drone footage of the devastation. NBC also had correspondents on the ground throughout the Southeast. “Nightly” was slated to originated from Miami Wednesday, Oct. 10, but shifted to Panama City, Florida instead and dropped the “Across America” branding for the day. Interestingly, both Glor and Muir both borrowed a page from Holt’s more adventuresome standup locations during special coverage — Muir more so on Wednesday and Glor Thursday — though neither still went to quite the extent of the NBC newsman. NBC News did not respond to requests for comment about the decision to change and continue Holt’s tour.